While others are paying the full price, seniors can enjoy a variety of discounts in Rhode Island. Many businesses, from restaurants to theaters to museums, offer cheaper prices for those over 60. 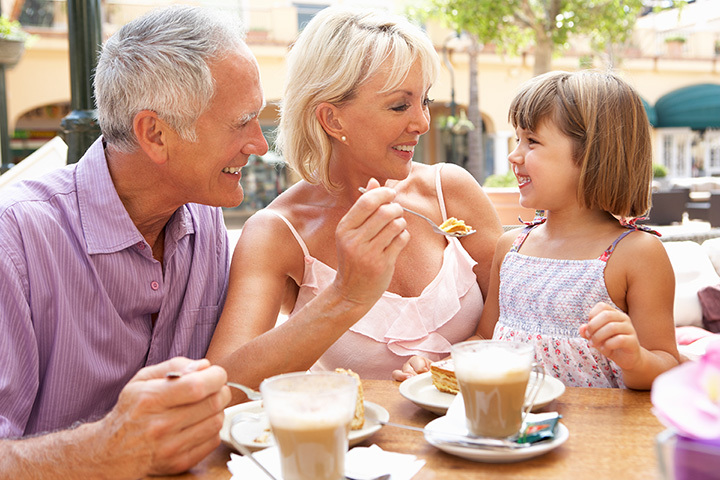 Though you might be inclined not to reveal your age, make sure to let these businesses know so that you can take full advantage of all the senior discounts in Rhode Island! Here are our favorites. Head out to the open ocean for whale watching on the port of Galilee. The warm waters are home to many beautiful finback whales during the summer, and guests have even spotted humpbacks, minke, pilot, and false killer whales. While typical tickets are typically $50, seniors can get a $5 discount on their reservation. General admission tickets are such a good deal as a senior that even those who don’t like baseball will want to show up for a day at the ballpark! Seniors can enjoy tickets as low as $6 when they purchase them ahead of game day. Van Gogh, Roman sarcophaguses, contemporary art—you’ll find incredible art, new and old, at the museum maintained by the Rhode Island School of Design. Seniors can visit on Sundays for free, or during the week for just $12, as opposed to $15. Make sure to stop by Cafe Pearl for an artisan coffee, too. Explore the art museum’s fantastic collections of contemporary photography and older paintings, all housed in the historic Griswold House. Seniors can stop by for just $10 to tour the artwork. Make sure to stop by for the annual Members’ Juried Exhibition, which showcases the region’s top talent. Seniors can purchase movie tickets for $3 cheaper than general admission at Showcase Cinemas, located in Providence and nearby Seekonk. With that money saved, it gives you an excuse to buy popcorn or candy with your next movie! At this always-stocked grocery store, seniors can receive a five percent discount on Tuesdays, on top of the usual weekly deals offered. Make sure to stock up on fresh fruit and vegetables from their varied produce selection, or head to the bakery for a variety of delectable desserts. For those over the age of 65, Amtrak offers a 10 percent discount on most of its fares, including services that cross over the Canadian border. With Boston just north of Rhode Island and New York to the south, use this discount for a quick weekend getaway to a bigger city! During off-peak hours, RIPTA offers half-off fares to seniors and those with disabilities regardless of their income level. That means that a ride on a bus or trolley costs just a dollar when you ride it in the middle of the day or the evening. RIPTA also runs throughout the entire state, not just Providence, meaning you can take buses all the way to the beach, or hop on a trolley in Newport! Seniors receive special discount rates when they book with the Omni Providence Hotel. They stand to save even more money when booking with a non-refundable senior rate. The deal is offered to those over the age of 55, and gets you access to one of the state’s most charming hotels in the heart of downtown Providence. Those who are over 62 can save 15 percent on a room at one of Marriott’s 4,000 hotels worldwide. Stay at the stunning Renaissance in Providence, or one of Marriott’s other many locations throughout the Ocean State. The discount can be applied seven days a week, making it less restrictive than other hotel discounts.